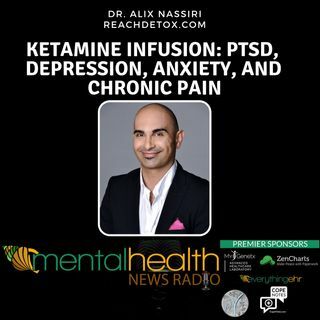 Dr. Alix Nassiri is a Double Board Certified Addiction Medicine Physician, an Anesthesiologist, EMDR trained, Trauma-focused Clinician and Founder of REACH Wellness, a cutting-edge brain and body institute. Dr. Nassiri's outstanding medical expertise and breakthrough treatments has made him one of the Top Physicians in the Los Angeles area for Behavioral Health & Wellness. Dr. Nassiri helps patients with a full range of behavioral health issues, ranging from substance and alcohol use ... See More disorders, depression, PTSD, anxiety, OCD and chronic pain.